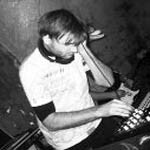 Surviving on talent and desire, while ingeniously creating a unique experimental blend of Hip Hop / Drum and Bass music known as Hip Step (Hip-hop Influenced Productions Stimulating The Earth’s People), New York City based I-Cue is out to make more than just a little noise. A true innovator in a world of followers, I-Cue holds the title of Hip Step pioneer… one of the few in the world. 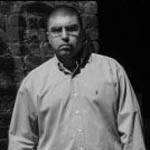 Member to New Yorks legendary Zulu Nation Crew around music legend Afrika Bambaattaa I-Cue has also shown a range of production styles with numerous acid jazz / hip hop releases dating back from 1994 to 1996 on a label called New Breed Records. 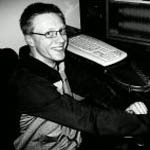 This is the point in I-Cue’s career (and history) where the hip step genre began to develop – a subgenre of the new jungle hop / jump up genre. In 1996, I-Cue was signed to the infamous Liquid Sky Records. 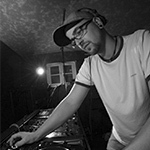 Near the end of the millennium, I-Cue was the brainchild behind many hip step productions under the moniker “Mike & Ike”, as well as other releases of his own on the Liquid Sky / Jungle Sky record label, such as “On A Journey”, “Plutonic”, “Deja Vu”, “U Know My Steeze” (released under moniker Blunderground Massive), and the New York City hip step anthem “Next Level $#it” featuring T.R.A.C. in 2000. Not only is I-Cue one of the most skillful turntable technicians in the US Drum and Bass scene, this native New Yorker has spun at the now legendary NASA and is presently a resident at Konkrete Jungle NYC. Vorheriger BeitragDJ Rob Odyssey. New York City. USA.